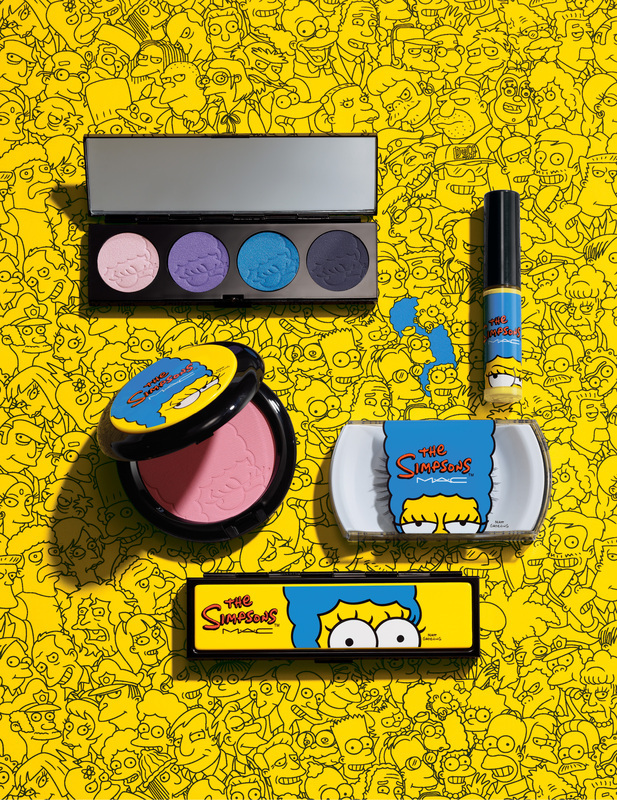 M·A·C Cosmetics recently announced their collaboration with THE SIMPSONS and their Marge Simpson-inspired collection. The collection will be available in stores everywhere on September 4 (and online at www.maccosmetics.com on August 28) but will be sold exclusively for ONE DAY ONLY during San Diego’s Comic-Con on Saturday, July 26 at the M·A·C Cosmetics Gaslamp store located at 234 Fifth Avenue, San Diego, CA 92191. Fans are invited to visit the store for this one day only opportunity to purchase the collection and also receive a Marge makeover from the ten piece collection that includes nail stickers ($16.50), eye shadows ($44), lipglasses ($16.50), and lashes ($18.50).